A key advantage of TRI Industries comes from the diverse capabilities and specialties of our resources working together for a client. With TRI’s Integrated Design+Build, our comprehensive approach simplifies the process for clients by providing a single point of contact and accountability on every aspect of the project, including architectural design, MEP, civil engineering and construction. We also serve clients in a design-assist capacity, with our experienced preconstruction professionals offering review, coordination, management, quality control and compliance on projects where primary engineering and design remain the responsibilities of other firms. 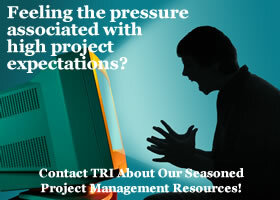 The Construction Management at Risk approach, or CM at risk, provides clients with a unique way to leverage TRI’s expertise managing construction projects. As the CM at Risk, we act as general contractor during construction, working with other job participants, assuming responsibility of subcontracting the work and guaranteeing completion of the project. In addition to our extensive preconstruction, design, engineering and other services, TRI is among the region’s leading builders. We offer the full range of general construction capabilities on the job site with more than 200 employees, strong relationships with qualified subcontractors, extensive experience in both negotiated and bid projects, and a tradition of quality dating back more than eight decades. 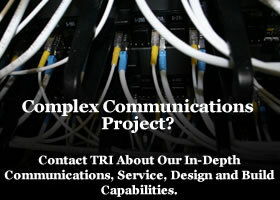 Contact TRI today about your project. Whether you need design or build services, TRI provides experienced, professional resources to get the job done right, on time and on budget.